Vincent Genco has been a VIVA volunteer for more than 24 years. “We help out at the hospital and lead people to where they need to go effectively,” he said. OAKLAND — At Garrett Regional Medical Center in Oakland, more than 130 volunteers donate their time in various areas of need. The volunteers represent diverse backgrounds and age groups, and many of them just happen to be seniors. Volunteers offer their time through VIVA (Volunteers in Various Areas), the Loar Auxiliary and a chaplaincy program. 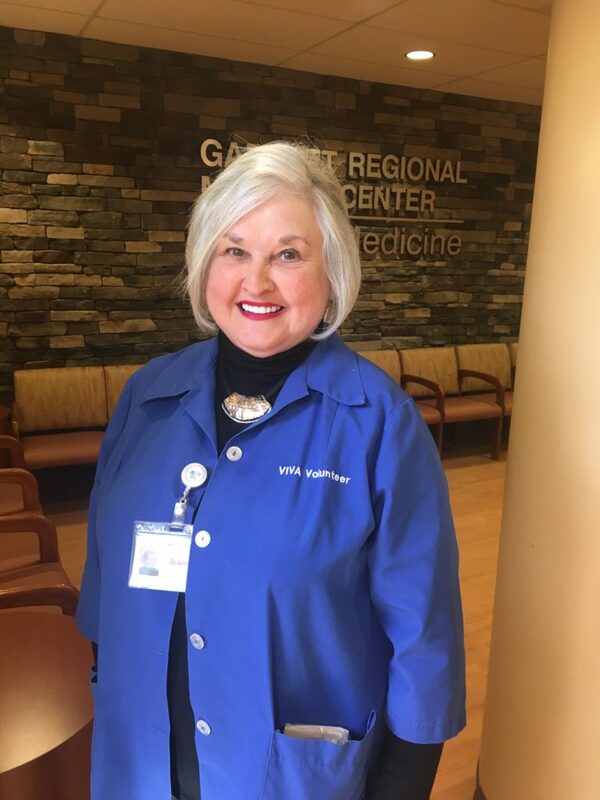 VIVA represents the largest volunteer branch at GRMC. Volunteers help patients and visitors by greeting, escorting, comforting, and acting as liaisons between physicians and patient’s families during surgery. They also provide staff support for a variety of projects and daily office duties. Gary Galloway heads the VIVA program, and he has been involved for four years. He works in the VIVA office along with six other volunteers. He noted that the most commonly seen (and the largest number of) volunteers are at the front desk, where they assist people in starting the registration process. They also direct or guide people to wherever they need to go within the hospital. Some of these volunteers pick up and distribute mail and take care of posting outgoing mail. Volunteers cover the front desk from early in the morning until late afternoon. Other volunteers are helpful in the emergency room and other areas of the hospital. He noted that there is always a need for more volunteers. Wayne Johnson of Oakland has been volunteering for more than 20 years and is now 87. Vincent Genco of Mountain Lake Park has been a volunteer for more than 24 years. Originally from Mount Morris, N.Y., he was transferred to the area and retired from a manager position at Bausch & Lomb. He started volunteering after that. The Loar Auxiliary supports the hospital gift shop, which offers beverages and snacks, cards, personal care products, seasonal items, gift collection items and more. Loar Auxiliary proceeds have benefited a variety of care programs and have helped purchase several pieces of major medical equipment for the hospital. The Loar Auxiliary was named to commemorate the hospital’s original benefactor and was founded in 1951 to support the needs of the newly constructed community hospital. The Loar Auxiliary Gift Shop was established in 1976. 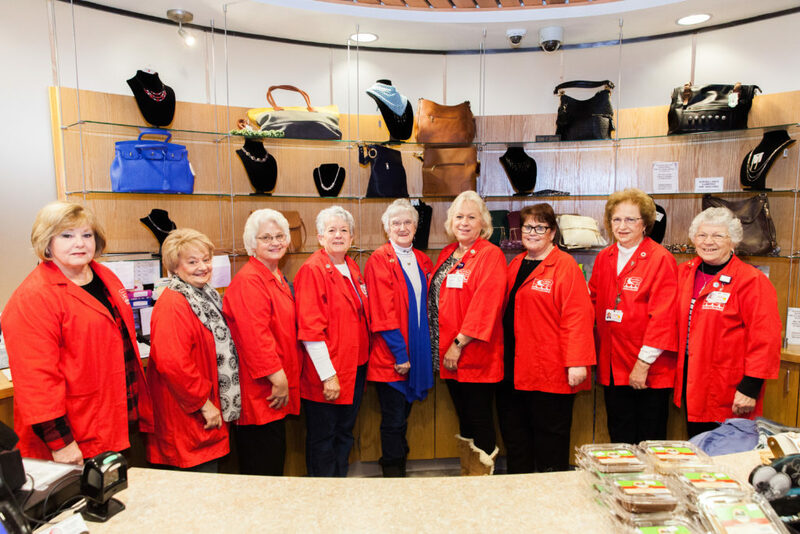 Molly Hartung, president of the auxiliary’s board of directors, reported that the auxiliary is made up of 20 members who volunteer to run the gift shop, which is open seven days a week, weather permitting. Each member works a four-hour shift, with some working a day or two a week and others filling in when a shift needs filled. Hartung is in her second term as president. In her first year, the auxiliary celebrated giving the hospital $1 million over a 10-year period. Hartung noted that all of the volunteers are seniors except one new member who just joined. Denise Shay is the auxiliary vice president and has managed the gift shop for almost 20 years. Shay noted that visitors often need a gift, kind word or a reassuring smile during a difficult time. Margaret Mowbray of McHenry has volunteered at the gift shop for almost five years. She previously worked in Alexandria, Virginia, as an accounts receivable clerk. GRMC offers a “Chaplain of the Day” service to provide patients access to a chaplain seven days a week. Services are non-denominational and are administered by members of the clergy from the surrounding area. Kathy Skipper heads the chaplaincy program. She and her husband John have volunteered for the last 15 years and have served in various offices on the board. Both are credentialed with the Church of God. Skipper explained that there are currently approximately six ministers involved with the program. In order for someone to volunteer as a chaplain, the individual must fill out an application available on the hospital’s website and must be approved by the board. One of the requirements is that the person must be credentialed in some form by a church denomination. Each quarter, a schedule is emailed out, giving the chaplains an opportunity to pick a week or weeks that will work for them. On the week that they choose, they are asked to make visits to the patients who are on the chaplains list (meaning the patient agreed on admission to allow a chaplain to visit them). Visits are made two to three times a week, and the chaplain must also be on call for emergencies. The hospital requests that each person who serves as chaplain take at least one week a year. The Skippers have worked jointly since they started with the program. Rev. Tom Hudson is an Episcopal priest serving part-time at St. Luke’s Church in Brownsville. He lives just outside of Oakland and spends a couple of days each week in Washington County. He said he became interested in the chaplain program three years ago because he is retired and serving a parish part-time, and felt the call to more involvement in ministry. He noted that it takes time to visit every patient in the hospital. Pastor Ryan Heycock of Emmanuel Lutheran Church in Bittinger became involved with the chaplaincy program last fall since he had prior experience in that area. 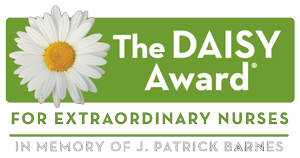 “Chaplaincy work is important and vital to the work of any clergy as it reflects the larger mission of the church … provides a non-anxious ministry of presence to those who are receiving care and to whom spiritual health is important and allows clergy to cultivate the skills necessary for pastoral care among their own parishioners and others,” he said. Pastor Barbara Rexroad serves the Garrett Highland Charge United Methodist Church, which involves four churches. She lives in Loch Lynn and has been a chaplain at GRMC for about seven years. Staff writer Brenda Ruggiero can be reached at 301-501-8393 or by email at bruggiero@therepublicannews.com.